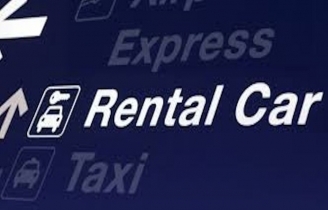 Get the cheapest car hire Edinburgh Airport using our car hire price comparison website. We compare the car hire market in Scotland to find you the best cheap car rental Edinburgh or Edinburgh airport. At Edinburgh Airport our car hire companies include Avis, Alamo, Budget, Dollar, EasiRent, Europcar, Firefly, GoldCar, Green Motion, Hertz, Interrent, Keddy and Sixt. Take your choice (manual or automatic transmission) from a selection of small, medium or large cars including a luxury car, SUV, MPV, Minivan or people carrier. What Makes and Models can I choose for my Edinburgh Airport Car Hire ? Choose from a vast range of makes and models including Hyundai i10, Fiat 500, Volkswagen Up, Opel Corsa, Nissan Micra, Citroen C3, Volkswagen Polo, Peugeot 2008, Hyundai i30, Volkswagen Golf, Ford Focus, Ford Focus Estate, Ford Mondeo Estate, Opel Astra Estate, Skoda Octavia Estate, Opel Insignia, Volkswagen Passat, Skoda Rapid, Citroen C4 Picasso, BMW 2 Series Active Tourer, Opel Zafira, Citroen C4 Grand Picasso, Volkswagen Touran, Volkswagen Sharan, Ford Galaxy, Ford Transit, Ford Tourneo, Mercedes Vito Traveliner, Mercedes C Class, Jaguar F-Type Convertible, Range Rover Velar, Mercedes E Class, BMW 5 Series, Audi A6, Renault Captur, Opel Mokka, Renault Kadjar, Nissan Qashqai, Toyota Rav4, Kia Sportage, Nissan Pathfinder and Volvo XC60. Can I Find Cheap Van Hire Edinburgh ? We always say that cheap van hire is not always the best van hire, but we can offer van hire Edinburgh Airport with the Mercedes Citan, Volkswagen Transporter Cargo Van, Renault Master Cargo Van (13m3) or Volkswagen Crafter Cargo van, We can also supply truck hire with the Mitsubishi L200. When you are planning to go on a long-awaited holiday or an important business trip, then arranging car hire in Edinburgh with Best Car Hire can make life easy for you. You control where you want to go and when you want to get there. Our website compares the car hire market in Scotland, so you can easily find a hire car that will best suit your budget and your needs thus saving you a lot of time and effort. When you are planning to go on a long-awaited holiday or an important business trip, then arranging a car hire in Edinburgh with BestCarHire can make life easy for you. You control where you want to go and when you want to get there. Our website compares the car hire market, so you can easily find a car that will best suit your budget and your needs thus saving you a lot of time and effort. When travelling into Edinburgh city from the Airport there are a variety of top class retail outlets including the famous Harvey Nick's and Jenners. Car parking in Edinburgh city centre can be very challenging. If possible it is advised to park on the outskirts of the city and take one of the many regular trams.